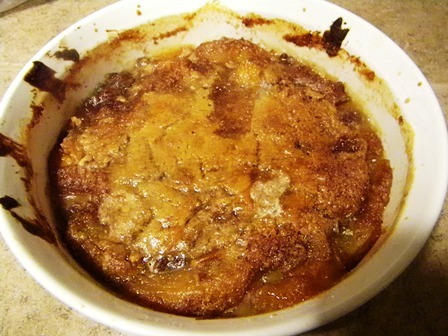 In a large bowl, combine peaches, honey, cinnamon, lemon juice and coconut flour. Stir well. Pour peach mixture into a large baking dish. In a medium bowl combine all the topping ingredients. Because we are using honey, the topping will not be crumbly like traditional crisp. 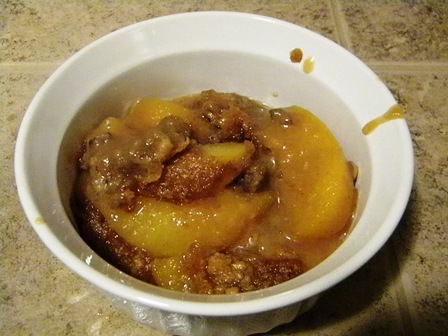 Spread topping over peach mixture. Bake for 60 – 70 minutes or until topping is set. Serve warm or cool completely. This recipe does sound great, mostly. I have the peaches peeled, sliced, and mixed with the other filling ingredients. I am just about to make the topping, but I just noticed the comment “because we are using honey, the topping…” Unfortunately, I don’t see honey in the topping ingredients list. I am going to try 1/4 cup honey and hope that’s not too much. I haven’t tried it in this recipe, but I often substitute coconut oil for butter in recipes. It works pretty well, especially for dessert recipes.